Let's Go Bolts! Handmade Tampa Bay Lightning Bolts Necklace NHL Hockey Jewelry for her by Phoenix Fire Designs. Let’s Go Bolts!! 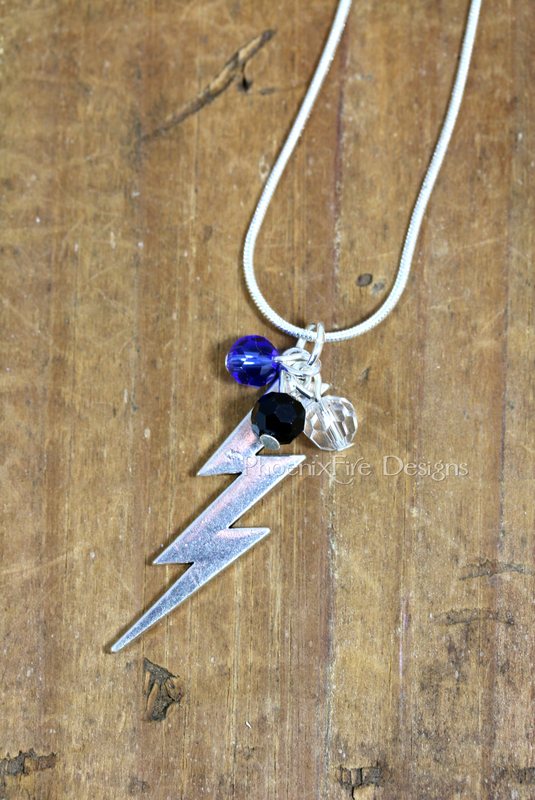 ⚡️ Show your local pride for our amazing, best-in-the-NHL Tampa Bay Lightning with this handmade Lightning Bolt necklace accented with three crystals in Bolts colors. Charm is approx 1.5″ long. Includes an 18″ silver plated snake chain. $20/each + flat rate $3 shipping. This entry was posted in For Sale, General, Jewlery, Necklaces and tagged lightning bolt.